The private key does not need to be there unless you are going to use it to sign a certificate containing another public key. When you are sending over your public key, instead send over an entire certificate (except for the private key), signed using the associated CA private key. Hi Franz, The private key, as its name, is private and known only to the entity that uses it to sign the certificate. 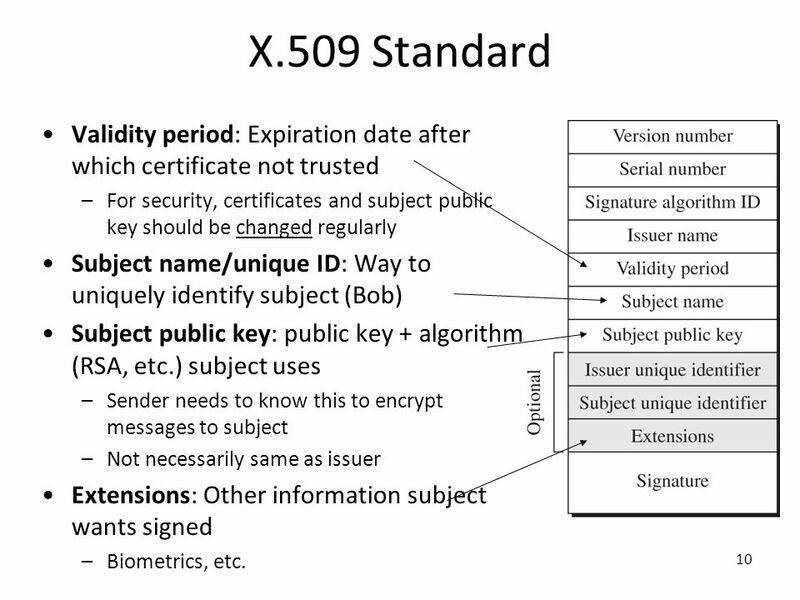 The public key is embeded in the certificate as "Subject Public Key Info", as mentioned in RFC5280 section 4.1.2.7. Is there any other API for this to support lower OS X version? I think you can do this by getting the CSSM key from the SecKey (SecKeyGetCSSMKey) and then calling the CSSM APIs (those APIs are deprecated, but that doesn’t matter because you’ll only be using them on older OS releases where you know they’ll keep working).